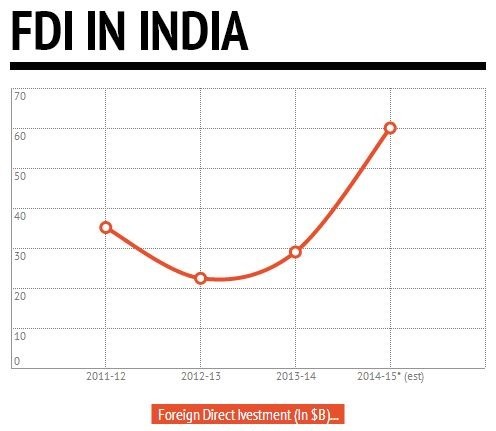 Is PM Narendra Modi really helping India to get better? On one side of the spectrum there are Modi Bhakts who automatically think using Euclid’s “Common notions” (if a=b and b=c hence c=a) they are Desh Bhakt’s too. And then on the other side of the spectrum are those who loathe Modi, whom the former extremists call Congress supporter, aaptard, Pappu ka chamcha, Kejri ka chamcha, anti-Hindu, secular, terrorist, Pakistani, Italian, etc. To both those highly disillusioned people of the two extremes, I would like to draw some sort of balance by showing them if Modi is doing well or not based on the following 8 key indicators. GDP Growth: One of the primary indicators used to gauge the health of a country’s economy. Bigger the number, better the economy. 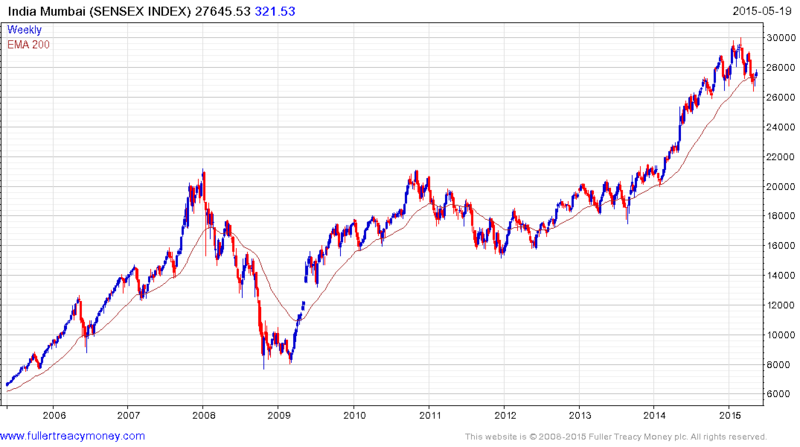 Sensex Performance: Healthy Sensex can create a sense of confidence about the direction of the economy. As prices continue to rise, more investors come into the market, which builds on the momentum. Falling sensex have the opposite effect. People feel pessimistic about the economy. People hold back on their spending, especially on nonessential items. This slows down economic growth because consumer spending is a key component of the gross domestic product. LPG subsidy reforms: Barring LPG subsidy to customers who earn more than Rs. 10 lakh per annum. The amount saved was used to give over five lakh new LPG connections to those who still use firewoods or kerosene stoves for cooking. India-Bangladesh land boundary agreement: Bringing an end to one of the world’s most difficult border disputes that has kept thousands of people in stateless limbo for almost 70 years. Real Estate regulation: Apart from making the process transparent and keeping checks and balances in the form of a Real Estate Regulatory Authority, the lawdrafted by Housing Ministry headed by M. Venkaiah Naidugave confidence to home-buyers. I leave the rest to your kind judgement. Disclaimer: I am not a Modi Bhakt, but I do feel Modi is creating a true sense of optimism in the minds of the countrymen. Next article This is How Facebook’s New Office in Mumbai Looks a Like ! !